The benefits of being a remote worker are numerous: personal freedom, improved lifestyle, no commuting, etc. In the USA alone 3.3 million full-time professionals, excluding volunteers and the self-employed, consider their home as their primary place of work. Before you go diving into a remote job, it's important to consider what kind of remote worker you are and what type of contract you will be expected to sign. In this blog I will outline the different types of remote workers, their contracts and what you should aim to include in your contract. Hybrid Employee: a remote worker who may work from home for a few days a week and from the office for the rest of the time. This person may be transitioning to a full-time remote worker. They will probably have a regular Employee Contract. Full-time Employee: a remote worker who works exclusively for the employer, has his/her work supervised and works to a set number of hours. Their contract may include paid annual leave and paid sick leave. Some companies may offer benefits like subsidized medical insurance, but generally companies don't tend to offer this to remote workers. Remote Contractor/Independent Contractor: someone who works full-time from home but is not considered an employee. They work independently, their work isn't supervised and neither are they bound to set working hours. Generally, they are also permitted to work for other clients. Their contract excludes all benefits like annual paid leave, sick leave, medical insurance, pension, etc. Outsource Worker: someone who works from home full-time but may be contracted to several employers/clients at the same time. They often work on projects (short-term or long-term) and get paid at various stages of the contract. They may even bill the client for hours worked each month. Temporary Worker: someone who works for a short period of time, sometimes to fill in a gap for another worker who may be on sick leave or maternity leave, etc. Be careful of employers who offer you an Independent Contractor position masquerading as a full-time employee position. The reason an employer may offer you an independent contractor position while expecting you to fulfill the duties of a full-time employee may be to avoid paying taxes and benefits. This is very common, so be warned. Each type of remote worker will have their own contract. Employers will either use a standard remote worker contract or tailor one to suit the type of remote work being undertaken. 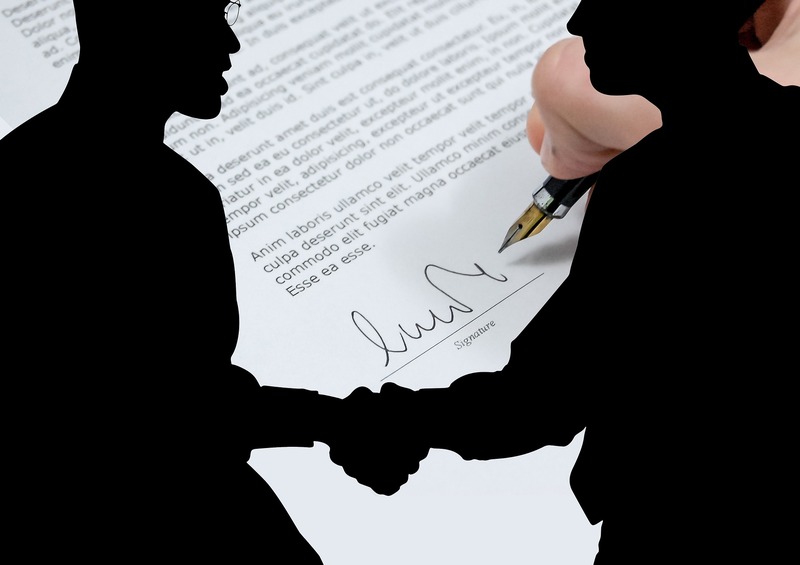 If you don't fully understand a contract, get a lawyer to take a look at it before signing it. Don't know a Lawyer or Attorney? 1. Read through the initial offer very carefully. By the time you receive an official offer from an employer you will have presumably gone through an interview process. So it's understandable if you're keen to accept the offer immediately in the hopes of bagging the deal. But wait. Are you really satisfied with the offer? Is this really the employer's best offer? Don't be afraid to negotiate. You have a lot of value to offer so don't give yourself away cheaply. Don't think that by asking for a better deal you will frighten the client or employer away. Quite the contrary. It will actually raise your value in their eyes. The higher you value yourself, the more others will value you. Let's say the remote job is advertised at $3000 per month. After going through the interview process you may discover that the work load is heavier than you initially thought or were led to believe. After considering that you may need to work longer hours than anticipated, it makes perfect sense to ask for a higher salary or fee. 2. Does your contract include annual leave days? Many employers will hire remote workers and hope to get away with not having to offer any benefits. But in this day and age everyone knows how important a good work-life balance is in maintaining high levels of productivity. You need time off to recharge your batteries and a 2 day weekend may not always be sufficient, especially if you're working long hours. Personally I'd never sign a remote work contract that doesn't include at least 20 days of paid leave per year. I believe that the USA is lagging a bit behind Europe on annual leave benefits, but I've worked remotely for several USA-based companies and I've always managed to get generous annual leave included in my contract. The exception to this may be the Independent Contractor agreement. If your working hours are not governed or supervised, you won't be offered paid leave. If you're required to be online for a set amount of time per day as an employee, make sure the contract is clear and that these hours are stipulated. Don't make the mistake of having this issue left open-ended because trust me, your working day will end up being so long that your work will completely consume your life. I once made that mistake and ended up with a 12 - 15 hour work day. You can imagine how that almost killed me. If you're an independent contractor then by law your employer may not dictate or supervise your working hours. If you find yourself in a situation where your client starts expecting you to be online and engaged for a set number of hours per day, then re-negotiate your contract from independent contractor to employee and ask for benefits. If they refuse then you can decline to work set hours as this will not be in your original contract. Anytime your working conditions change, you should get an amendment to your contract. 4. Does your contract include paid sick leave? Everyone gets sick from time to time. You don't want to be forced to take annual leave days when you get sick since these are for the benefit of recharging your batteries or attending family life events like weddings, funerals, births, etc. Boldly ask for 12 days per year. This might be brought down to 8 - 10 days with a clause stipulating they'll only kick in after a certain amount of employment time. But that's ok. Remember, this will only be applicable to employees and not independent contractors. 5. Are your duties clearly outlined in the contract? If you are hired by a Startup, chances are you may be required to wear a few different hats, depending on your experience and expertise. However, just because you have knowledge and skills in marketing doesn't mean you have to perform marketing duties if you've been hired as a Graphic Designer or Account Manager. While it's important to be flexible, it's also not cool for an employer to take advantage of you by expecting you to perform duties that do not fall in your job description. Therefore it's very important to clearly outline the scope of work and your duties in the contract. If you are suddenly lumped with work outside your job description, you can always go back to your boss and request that the contract be renegotiated. 6. Is your salary payment date clearly stated in your contract? Sometimes you'll find a contract stating that you will be paid within 30 days of your invoice being presented. This should never be accepted by you unless you are an independent contractor. If you find this clause in your contract, ask for it to be amended and state that you want to be paid within 2 - 3 days of presenting your invoice at the end of the month. Unless you have enough cash to float you for a month, it's not acceptable to wait 30 days for your salary. If your salary payment date is not stipulated in your contract, ask for this to be clearly defined. If you're a remote worker you'll want to make sure that you have a bit of a buffer in your contract when it comes to termination. Some employers will expect you to give them a month's notice, but in reality that rarely happens. If the relationships sours (as it sometimes does) then both parties will want to get out as soon as possible. A week's notice is fair and reasonable as this is usually sufficient for a hand-over to whomever is taking over from you. By law the employer has to pay you for every day that you work so don't worry about not being paid in your final week provided you conduct yourself professionally and that you are clear and transparent in your hand-over. When a working relationship comes to an end it can be painful for both parties. An employer may have invested a great deal of time and money in training you and understandably feels bruised if you decide to leave. Richard Branson's words come to mind in this situation: "Train people well enough so they can leave. Treat them well enough so they don't want to." People leave for various reasons, but the number one reason for employees quitting their jobs is a toxic relationship with their direct manager or boss. When drafting a letter of resignation leave out any reference to the reasons you were unhappy in your job or the reasons you are leaving. You want to leave with grace and dignity. Rather, state that you are leaving for personal reasons. Be clear about the notice period you're offering (refer to your contract) and stipulate when the last day of your employment will be. Always include a proposal to make the transition as smooth as possible for your employer. Your potential boss may be putting pressure on you to sign the contract by saying there are other qualified candidates ready to accept the offer if you are not. Don't buckle. Stand your ground and say that you would love to work with him/her, but that you want to be happy and clear before walking into a new position. If you feel some hostility as a result of your attempts to negotiate a better deal, take that as a sign that this is not a good fit for you and pull back to see what happens. An employer who really wants you to join the team will be flexible and open to negotiation. If your employer or client has made amendments to the contract, as per your requests, make sure you read through the contract again before signing to make sure those changes have been made. It's easy for paragraphs to disappear in the changing and re-saving of digital documents. Walking from one job straight into another without at least a few days break is never a good idea. You want to be rested, fresh and clear-headed before joining your new team. Coming onboard in a stressed headspace will not give a good starting impression to your new team members. If you want to hit the ground running in your new position, you need to recharge your batteries. No matter where your new employer is situated, the best way to get paid is to have your salary or monthly fee transferred directly to your bank account. If you're traveling around the world, this might prove to be quite challenging. Forget Paypal! They are the biggest rip-off. You'll pay 5% commission or more for cross-border transfers. If your contract is clear and everyone knows where they stand and what the expectations are, your working environment becomes more relaxed. If an employer pushes more work onto your plate or expects longer working hours, you have a negotiating leg to stand on if things are clearly defined in your contract.